Festival organizers just released the four day schedule with set times and stage assignments for all the artists. You can see the schedule below which was posted to Firefly's Instagram page. Start planning now who you want to see and what stages you want to check out. Here is a map of the grounds. 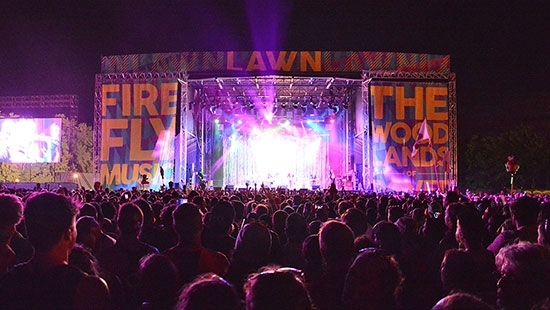 The Firefly Stage has the biggest acts each day and the headliners at night. The Pavilion houses the DJ's and EDM artists. The Lawn and Backyard stages also have some big names performing. The other four stages (Porch, Coffee House, Tree House, Toyota Music Den) is where you'll find awesome up-and-coming acts.